Baked Salmon Served With French Fries And Fresh Vegetables. Banco De Imagens Royalty Free, Ilustrações, Imagens E Banco De Imagens.. Image 51569395. 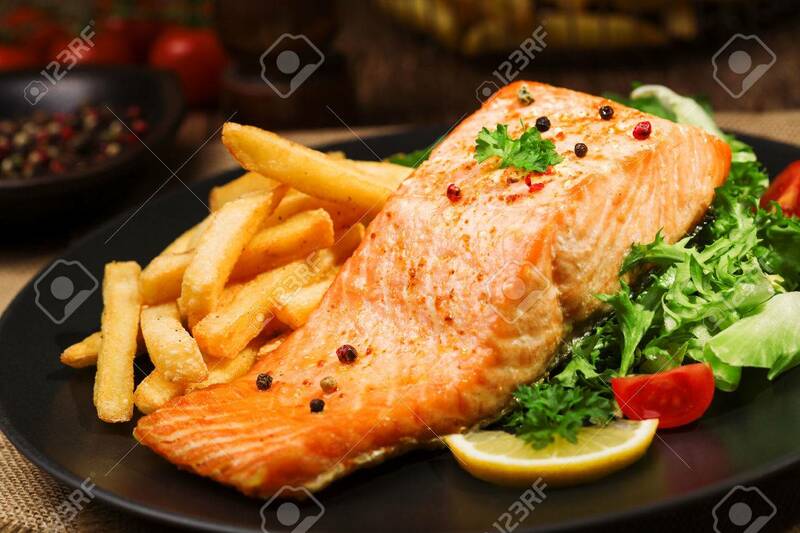 Imagens - Baked salmon served with french fries and fresh vegetables. Baked salmon served with french fries and fresh vegetables.